Arizona State University creates customized partnerships with companies of all sizes. With your unique challenges in mind, we offer concierge service to connect you with the resources you need most. 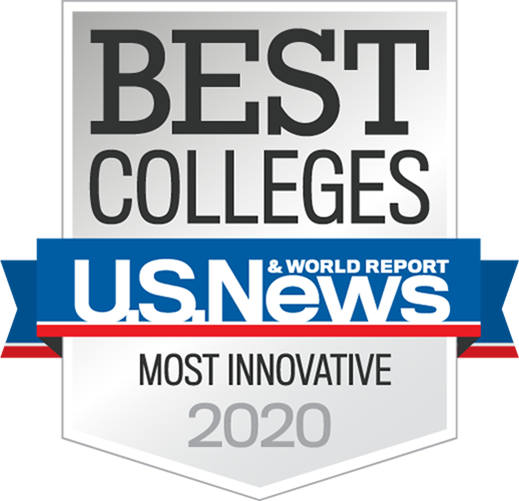 We invite you to collaborate with us and find out why we were named the most innovative university in the nation four years in a row. We design one-of-a-kind partnerships with organizations ranging from small businesses to industry giants. We are committed to creating programs that transform organizations and create impact on a global scale. We challenge you to think beyond conventional academic-industry engagements and envision how we can become your solutions partner. Verde Solutions, a full-service energy efficiency consulting firm, partnered with ASU on the first corporate Practice Lab. Top students from various disciplines are working to produce a geographic information system-based analytical approach for renewable development site evaluation. The students are supervised by Mark Naufel, director of ASU’s Luminosity Lab, which uses strategic design, systems thinking and rapid product realization to develop and deploy unconventional and effective solutions to the world’s most complex challenges. "Arizona State University is an institution founded on applied knowledge and real-life education. Having the opportunity to work with a leading university in the renewable energy and green energy industry was something I could only have dreamed of when we founded the company in 2012." "TEKsystems, a provider of technology services that address the pressing strategy, implementation and talent needs for more than 80% of the Fortune 500 companies announced today it’s expanding its office in Tempe, Arizona with plans to hire up to 300 new employees over the next three years. The company has secured an additional 24,000 square feet of office space at its West Coast corporate campus in Tempe for its TEKsystems Delivery Center." A true public-private partnership, GPEC is the regional economic development organization for Greater Phoenix. Working with its 22 member communities, Maricopa County and more than 150 private investors, GPEC attracts quality businesses to this dynamic region making it one of the best tech relocation cities. By creating a high-performance economy through capital investments and jobs, Greater Phoenix companies enjoy a business climate where they can compete and thrive in today’s global economy. Since 1989, GPEC has worked to achieve an economically sound and sustainable region. "The Greater Phoenix Economic Council team works collaboratively to support expansion and relocation projects for companies considering Greater Phoenix. From our dedicated Business Development team, to our expert Research and Strategy team, to our support staff, we are prepared to support companies exploring the region." Subscribe to our ASU's corporate engagement newsletter to discover best practices, case studies and more.